This home in Shorewood Hills required the right buyers with a vision of the possibilities this home has to offer. This home finally found its new family, and they are now working on making their vision their new home. 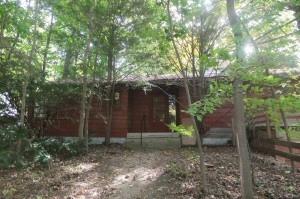 It is located on a gorgeous wooded lot, close to Shorewood Elementary School, Four Corners park, & Blackhawk Country Club. The community features the Shorewood Pool & community center & access to Lake Mendota. 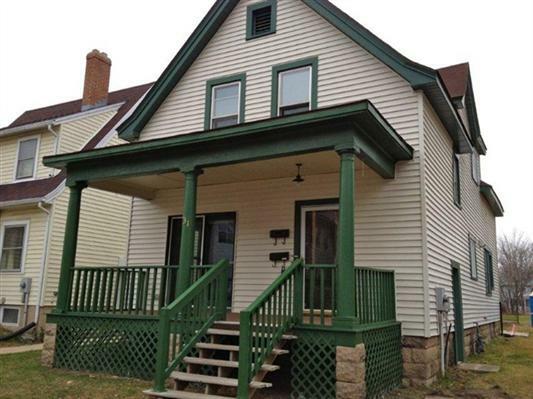 Just a bike ride away from UW, hospitals, Hilldale area & downtown. This home was cared for and loved for 39 years. It features a huge family/rec room adds a loft area, vaulted ceilings, great light. Beautiful wood floors, easy layout. The amazing teamwork of Alvarado Real Estate Group can do this for you! Contact Sara Alvarado at 608.438.5005, sara@thealvaradogroup.com today for information about listing your home! FREE Foreclosure Legal Clinic in Madison is now available for any homeowner who is facing foreclosure now. As foreclosure and short sale experts in the real estate world, our team talks to a lot of people who are concerned with their ability to continue to pay their mortgage. Whether their adjustable rate mortgages are coming due or someone in the home has recently lost a job or a divorce is causing financial stress; there are many reasons that a looming foreclosure is a reality. Our website has great information as you start to understand what your options are and there are great local organizations that are here to help too. One of our favorite resources is the Dane County Foreclosure Legal Clinic. DATES: Every Tuesday TIME: 9am - 11am (This is a walk in clinic so come when you can) LOCATION: Room L0001 (West End) of the Dane County Courthouse at 215 S. Hamilton St.
Dane County homeowners facing foreclosure have access to a free legal clinic staffed by volunteer lawyers and law students. The clinic operates on a walk-in basis, no appointments are necessary. The purpose of the clinic is to provide homeowners in foreclosure with basic legal information. Homeowners who have been served with a foreclosure lawsuit can receive help preparing a written response, which the homeowner can then file with the court. The goal of the program is to increase access to the legal system. A recent sampling of court filings shows that in 85% of cases in Dane County homeowners face foreclosure without the benefit of legal counsel. The clinic will help those who are unrepresented become more engaged in the process. Experience shows that homeowners who engage in the process early have better opportunities for a positive outcome. The Foreclosure Answer Clinic is a collaborative effort of the Dane County Foreclosure Prevention Taskforce, the Dane County Bar Association and the UW Law School, with grant funding provided by the State Bar of Wisconsin and other support provided by Dane County. The Dane County Foreclosure Prevention Taskforce is a coalition of public agencies, non-profit service providers and other community partners working together to develop sustainable alternatives to foreclosure in Dane County. Sara and Carlos Alvarado are proud to be a part of and support the Dane County Foreclosure Prevention Taskforce. Visit the Dane County Foreclosure website: www.daneforeclosurehelp.org or contact Carlos Alvarado at 608-438-6757 or carlos@thealvaradogroup.com for further questions. Do you know what impacts your Credit Score? It's Quiz Time! Take the Alvarado Real Estate Group's monthly quiz and find out if you know what impacts your credit score: According to credit experts, 42% of U.S. consumers have credit scores between 550 and 699. As a result, these consumers typically don't qualify for preferred interest rates and, depending on their overall credit profile, they may not even qualify for certain loans and credit cards. As a Madison WI Real Estate Broker, I have worked with many home buyers and sellers throughout my years in the business and have seen first-hand how credit scores can really upset the opportunity of securing a favorable mortgage. Most clients I work with don't have a clear picture of what impacts their credit profile and, more importantly, don't know what steps they can take to help improve it. I find this short quiz, from credit consultants ApprovalGuard.com, to be very helpful when it comes to understanding how your credit profile works. If you find you answered more than half of these questions wrong, you're not alone. ApprovalGuard says that the majority of consumers do not know the answers to these and similar types of questions. The good news is it's not too late. With a good understanding and proper guidance of how credit works, consumers can learn how to effectively manage their personal credit profile. For more information, you can email me at sara@thealvaradogroup.com and since I'm not a credit expert, I can connect you with the right person if I can't answer your question(s). Please feel free to forward this quiz to others. From a local Madison WI perspective, credit discussions come up a lot in conversations about short sales and foreclosures. This is a hot topic because there are so many factors in understanding your best options if you are in financial distress. And I'll save that for another post so stay tuned! FREE Foreclosure Prevention Workshop for any homeowner who is concerned about the affordability of their mortgage. As foreclosure and short sale experts in the real estate world, our team talks to a lot of people who are concerned with their ability to continue to pay their mortgage. Whether their adjustable rate mortgages are coming due or someone in the home has recently lost a job or a divorce is causing financial stress; there are many reasons that a looming foreclosure is a reality. Our website has great information as you start to understand what your options are and there are great local organizations that are here to help too. Goodman Community Center, 149 Waubesa Street, Madison WI Click here for the map. Learn about programs to help you manage your mortgage. Leave with tools and resources to help you make informed decisions. Small group conversation with housing counselor, attorney, real estate agent, financial educator. Please contact Ellen Bernards, 608-576-8658, ebernards@greenpath.com to register. Registration is not required but recommended. 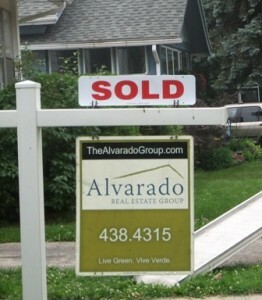 And visit the Dane County Foreclosure website: www.daneforeclosurehelp.org or contact Carlos Alvarado at 608-438-6757 or carlos@thealvaradogroup.com.